Barn doors have been one of the biggest trends to emerge from the modern farmhouse style that’s so big right now (and not fading away anytime soon if the excitement over Chip & Joanna’s new line for Target has shown). But the thing about barn doors is that they’re the perfect mix of form and function. 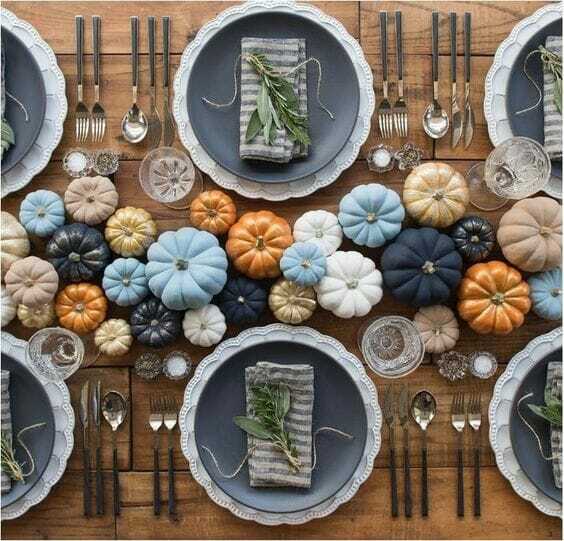 By making a few small aesthetic changes, you can introduce this trend into practically any style of house. Whether you’re a true rustic farmhouse style lover (#teamMagnolia) or more of the modern persuasion, there’s a sliding barn door for you, my friend. I’m personally a huge fan of pocket doors for their space-saving function, and sliding barn doors are essentially the same thing. But they provide an excellent opportunity to introduce charm, color, texture, or a focal point. Most are mounted on an exposed track system and can come in a variety of finishes. When you’re in a pinch for space, a barn door can do double duty when you mount a mirror directly to it. A wide classically-styled barn door is a beautiful and moody backdrop for this cozy corner thanks to the matte black paint. I’m obsessed with the acid yellow hue of this barn door. It’s such an unexpected pop of color and a great way to modernize a traditional style. How fun is this chalkboard barn door? 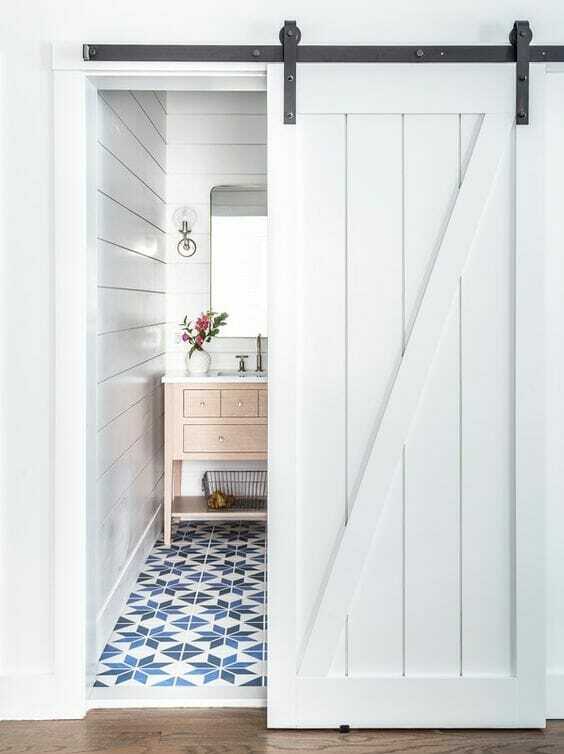 This chevron-style barn door has a beautiful chalky blue stain applied to it that still allows for the natural beauty of the wood to be revealed. And for those who appreciate a more glamorous aesthetic, check out the criss-cross pattern on this beautiful black barn door. The long brass handle is perfection. This simplified barn door allows the wood to be the main star but adds a little more visual interest by placing the wood on the diagonal. A mix-and-match shiplap powder bath with a quilt-inspired cement tile floor — so so good. Simple and chic, this barn door manages to feel lightweight and airy thanks to the minimalistic lines and clean windows. I literally gasped when I saw this room. Would you try barn doors in lieu of walls? A DIY media cabinet. Cover up the TV when you’re not using it with these lovely chevron-inspired doors. Or use them to close up your home office when work is done (this whole house tour is ridiculously fabulous and full of inspiration). An all-white space gets an added boost of texture and charm thanks to the rustic, chippy barn door. And a great way to introduce light into darker spaces is with a built-in transom window. An otherwise dark hallway can get a burst of sunlight thanks to the windows that still allow for privacy into the bathroom. Hall laundry rooms can be tight on space, so a sliding barn door in lieu of doors that open out keep everything neat and tidy visually. Finally, here’s a creative spin on window treatments. Check out these sliding barn doors that cover a double hung window. Clever and functional! Do you love the barn door trend or are you over it? Let me know in the comments!